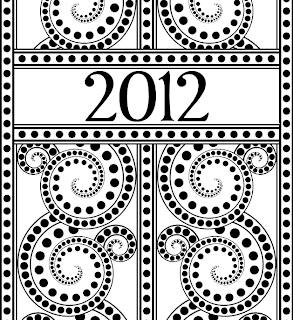 Jenn recently requested a calendar like this one that I made for 2010. She asked for one just like the original, but I really prefer to come up with new designs. I hope you like this one as well. It has the same design elements, dots in spiral patterns, but it's a different spiral dot design. The font used is Chocolate Box by Paul Lloyd. Click on the image for the 8x10 calendar. 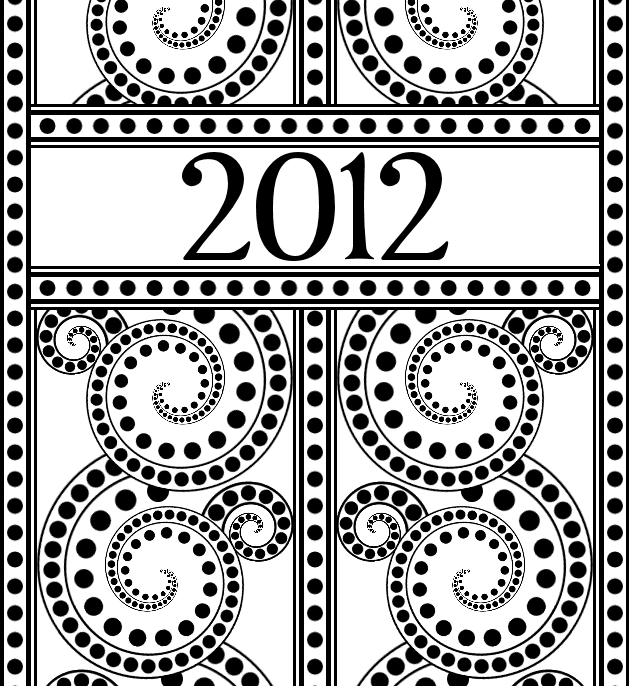 I found the 2010 year at a glance calendar very handy, and hope you enjoy this one as well. it's really nice, I love the design and the elegance of black and white, but I would like to ask you if you could do it with the weeks from Monday to Sunday that is how we (in Spain)have the calendars. Awesome! I can definitely use this at work. I love the B&W design. 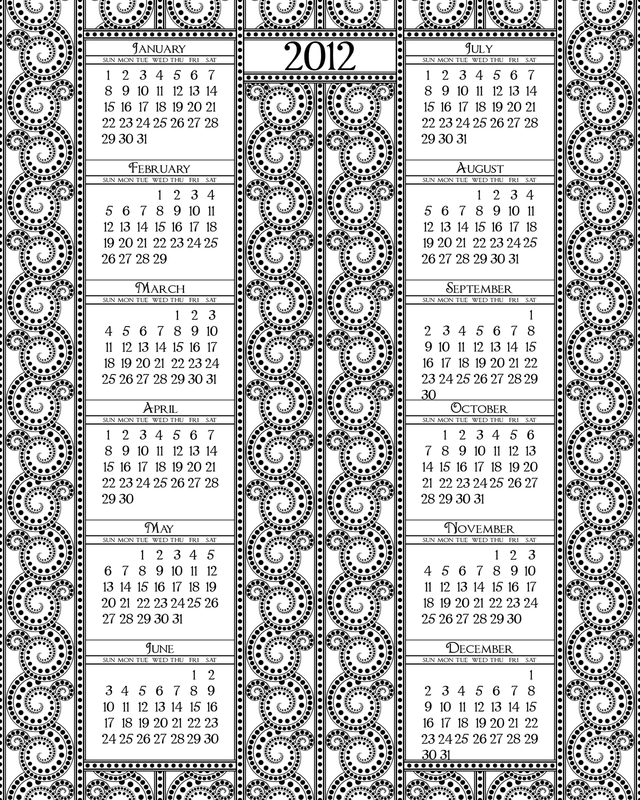 Shala, I love the calendar, but when I printed it, the image was 5x6 inches. Did I do something wrong? @Marta- I'll try to get to it. Since I create the calendars in my graphics software, it takes a bit of time. @Jill- I'm glad you like it. Thank you. @Anonymous- The calendar shouldn't be 5x6 inches in any settings so I'm not sure. Are you using a browser to print it or printing in graphics software? If you print using Chrome, it will print at 8x10 inches. The calendar is beautiful! thank you!! 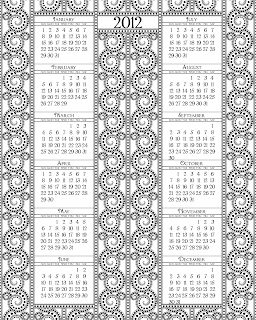 The above printable calendars are having the classical look.It is simply good.this gave me idea to create different calendar. I like this one even better than the 2010 one! Thank you for sharing this!